I’m stepping down from my soapbox this week – behave yourself, Miley – to talk about one of my favorite albums so far of 2010. 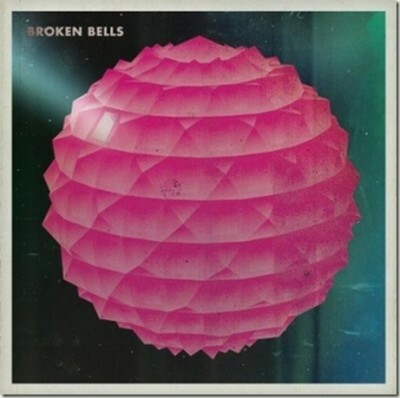 Broken Bells’ self-titled disc has been on steady rotation in my car and in my brain since I bought it a few months ago (call me quaint – yes, therockmom still buys CDs at the store). My oldest daughter, however, is sick of hearing BB so much; the other night she asked if I could change the music on the car stereo because this song ‘is weirding me out too much’. I think at that point we were on the ghostly ‘Citizen’. 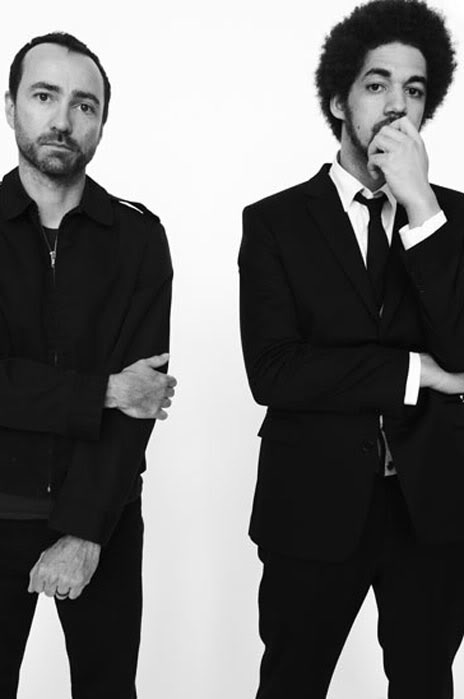 Just two guys make up Broken Bells – James Mercer from The Shins and Danger Mouse (aka Brian Barton) of Gnarls Barkley. If you’re familiar with The Shins then you’ll know Mercer for his articulate, well-crafted pop – tunes that speak of wistful longing and personal searching. I think of misty Northwestern forest towns populated by Raymond Carver folks, just trying to get by. Mercer looks like Kevin Spacey but sounds like no one else I know in pop, past or present. Do you think this outfit makes me look like Keyser Soze? What Danger Mouse brings to the party is funk. You can hear it in the groovy organ playing and drums, which push the sound away from Shins’ straight-up pop, towards a deeper R&B groove. Although Danger Mouse is best known as a producer extraordinaire – having worked with Beck, Damon Albarn, Sparklehorse and others – in Broken Bells, he plays and writes equally, instead of just coming in and working his magic at the mixing table. During Broken Bells’ recent performance on kcrw.com, host Jason Bentley said he’d taken an impromptu poll of listeners to find out what song they think ‘The Ghost Inside’ sounds like. Bentley said the winning song was Missing Persons’ ‘Destination Unknown’. Okay, that’s a bit more kewpie-robot-doll than BB, but similar in its own pop tale of alienation and dislocation. In that same interview, the duo discussed how they came together and what their influences are. Danger Mouse went to school in Athens, GA, and both he and Mercer loved the scene there (incubator for REM, B-52s, Pylon, etc). They also draw on influences from ’60s R&B as well as ’80s pop. I have no musical training so words like ‘soundscape’, ‘timbre’ and ‘harmonic function’ only complicate matters for me. But I do find that the word ‘texture’ somehow best describes Broken Bells’ music. It feels like fabric – corduroy, thick cotton, sometimes velvet – when I listen to them. A depth of feeling. A richness. Mercer and Mouse are currently on tour, but they’ve said there are more Broken Bells tunes in the works. My daughter might not be happy about it, but I am definitely looking forward to hearing more from this sublime pop collaboration. One of my favorites this year as well. Can’t get some of those songs out of my head! Definitely! Now that I increasingly think more in singles and playlists, it’s refreshing to find a record that’s excellent over 10, 11 songs. Have you heard The Shins cover of ‘Goodbye Girl’?